This is the best of both worlds. 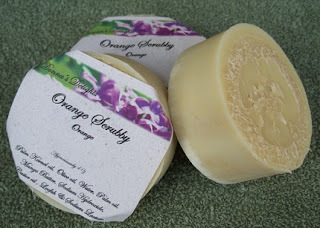 The soap is poured right into the loofah and has the sweet scent of orange. This is perfect for your feet, knees & elbows, but don't stop there. This is really great for your whole body especially if you are sore. Massage while you clean. Of course the kids love it to wash their hands. The loofah helps scrub away all that dirt that kids get into. 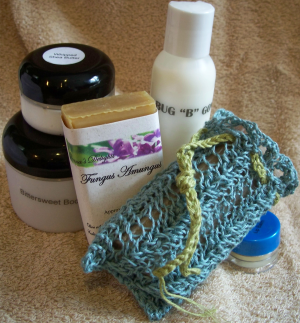 My soaps are made using the cold process method in small batches and are hand cut. Each bar weights over 4 oz.